It was some 16 years ago that Rob & Caroline Tolmie decided to make a ‘tree change’ from their waterside property on the Gold Coast. They chose Tamborine Mountain because they’d fallen in love with the village atmosphere and sense of community that the beautiful Mountain enjoyed and they wanted to be part of it. After searching for the perfect location, their imagination was captured by a 2.7 hectare property at the end of a leafy lane and only a short walk to the main village. Little did they know at the time, that this decision would lead them to design a garden on a grand scale. Many years of labour and love were ahead of them, to bring their dream to reality. Glenloch feels like a European inspired garden, with its central avenue of Pin Oaks, it’s structural rock walls and its Buxus hedges. The Tolmies have added grand bronze fountains, secret garden ‘rooms’ and wonderful ‘walks’ to explore this picturesque estate. The Mountain enjoys four very distinct seasons and this magnificent property shows each one off to the full, whilst continuing to be a haven for birds and wildlife. Rob & Caroline open the garden once a year to raise funds for local Mountain charities. When Rob & Caroline Tolmie bought the property that is now Glenloch, the sad two bedroom house at the top of the driveway had seen better times. In the early days of the Mountain, the old cottage had been home to the local Post Master and General Store Keeper and was actually located in Capo Lane - about a kilometre away in another street. Renovating this lovely old lady was an inspiring work of love, as whilst the Tolmie’s wanted to bring her into the 21st Century, they also wanted her to retain her original cottage character. It is clear a lot of love and consideration went into the cottage restoration, a slow process however rewarding ‘The Gatehouse’ finally came to life, complete with a pretty new front entrance, a full modern kitchen, bathroom and laundry, as well as a large veranda and spa, from which guests can view the garden. 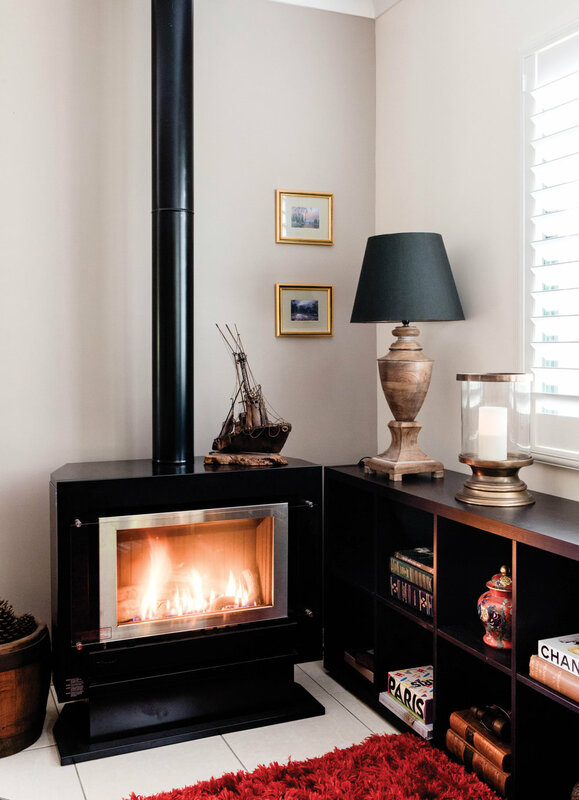 And finally those luxury finishes such as Plantation Shutters, fireplace and high quality appointments were chosen and installed to make her the luxury cottage that she is today. 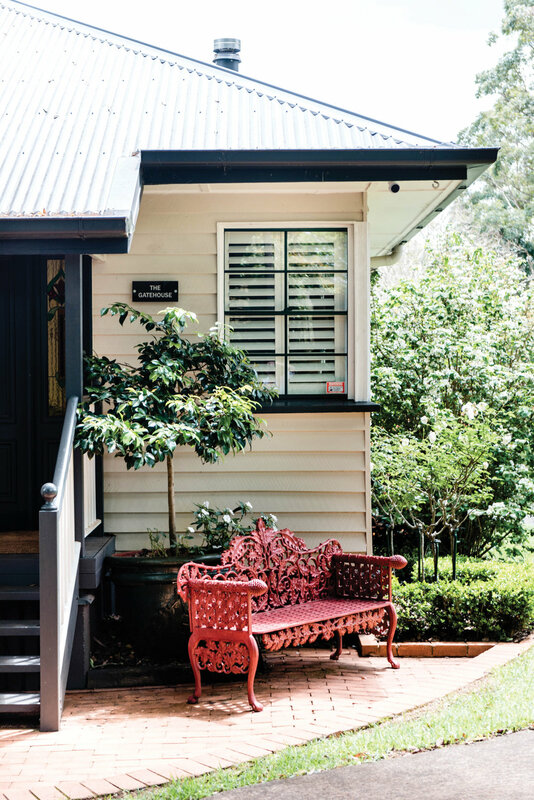 The Gatehouse has been ‘home’ to many Mountain families over the early years, but happily now welcomes guests for luxury short breaks and holidays on Tamborine Mountain. Whether you are buying or selling a property or have just started thinking about making the move, we can help. Property appraisals, market analytics or a quick conversation about general activity - contact us today. Scenic Road Magazine prints and distributes over 8000 copies to the region bi-annually. Get in touch today to feature your business in our next edition. We also provide full marketing strategies for businesses looking to refresh their brand.